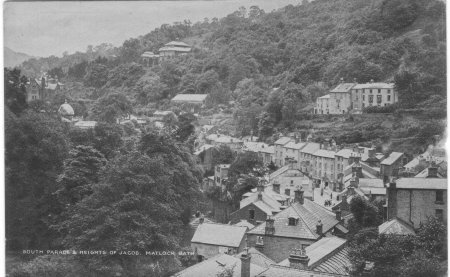 Looking South, down onto South Parade. A banner across the road reads "Musical Festival". There's a distant view of the Pavillion, the Kursaal dome and the Royal Hotel. 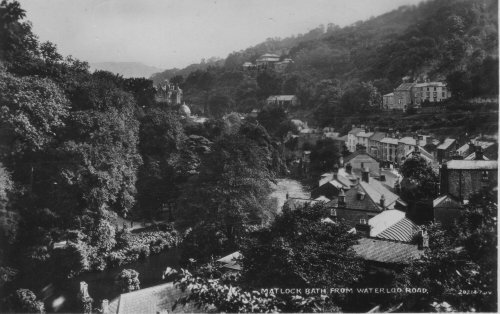 The second postcard reads "South Parade & Heights of Jacob, Matlock Bath", but its the same shot. The Devonshire Hotel is in the middle ground.